I am happy to announce we will be doing a JumpStart session about how to enable the IBM Sametime Voice in Sametime 9. For those that are unaware, SUTLite is now known as IBM Sametime Voice and is no longer an added license expense. You can load this up on your own and off you go! It is FREE! But wait, you say you do not know any telephony? You are not the PBX person? You have no idea what a PBX is or does? Well, come on down to Orlando this winter, the week of Jan 26-Feb 1 and get hands on walk through session on how to start leveraging the best part of IBM Sametime 9. I will be presenting with Jeremy Sanders, our ThinkRite CTO, who will be coming from the UK and we look forward to seeing you at IBM Connect 2014. IBM Sametime has so much to offer, but most customers still are using it only for instant messaging. Do you want to help your company enable everyone to work remotely and provide them with phones and video conferencing options from your IBM Sametime client? If the answer is YES! Come learn directly from the team that manages IBM Sametime Unified Telephony worldwide for over 150,000 people. Step by step, we'll walk through how to set your employees free. No extra infrastructure costs are involved as the IBM Sametime Softphone (SUTLite) is already part of your license and adds additional productivity to existing IBM Sametime Infrastructure and software suite. IBM has announced the new Champions for ICS and I am honored to be named, for the second time in a row, as an IBM Champion for 2014. While on vacation with a cell phone that only makes and receive calls and no laptop, just an iPad. I was really only logging on in the morning and evening and Israel is 7 hours ahead of Eastern time. When i got back Thursday night my streams were filled with the news. Very happy to hear my old friend from Lotus days, Oliver Heinz, will be handling us this year. What is so amazing about this time? For one, some really incredible people like my friend Ray Bilyk is now an IBM Champion and Stuart McIntyre has returned after his one year sabbatical. My fellow IBM Redbook Thought Leaders are now IBM Champions, Wannes Rams and Sarah Carter. in addition to Salvador Gallardo and Femke Goedhart that return as IBM Champions as well. So many great people and many of the IBM Champions are not only coming to Connect 2014, but presenting at it as well. Me too, more in a later post. Congratulations to all 87 of us and let's have some fun out there! It may be Halloween but I doubt the ghosts in the machine caused me to find this situation. IBM Notes 9 introduced a slight UI change which you may not see if you are not using IBM Connections or installed the option. There no longer is an Activities option when you look at your File->Preferences view. There is now a Connections option and Activities is now a sub option under it. Why is this important? It isn't per se. I happen to come across this problem where my Connections details in preferences are greyed out. Not through a policy setting or anything else i could come up with at the time. Q. I am unable to set up the Activities sidebar in a Lotus Notes 8.5 client to connect to the SmartCloud Engage Activities server because the Activities preferences are greyed out (that is, disabled) when trying to edit the sidebar. A. If the Activities Preference is greyed out, it means the Activities sidebar was in Local/Offline mode at a time when the server became unreachable. The Activities sidebar in Notes 8.5 is designed so that if you are working off-line, the Activities Server Settings cannot be modified, thus the option is disabled or greyed out. This design causes problems when your password on the server is changed while in Local/Offline mode and the server is no longer accessible. The Activities preferences should now be available. This was for all 3 clients, Notes, Admin and Developer. Fast or slow? Convenient or difficult? You make the call, but if you jump at the chance to update your Apple devices the second a release comes out, you should do the same for Notes, Domino and Traveler. After all, what is more important? Games and apps or your living and breathing inbox/sidebar/portal/streams? And don't forget there is also a new version of SwiftFile to make life that little bit easier to get to inbox near zero. Better late than never, I have posted here a spreadsheet for installation of Sametime 9, similar to my IBM Connections 4.5 installation spreadsheet. I took this IBM Sametime Wiki page provided and broke it down by topics (WAS, DB2, MUX, Media Manager, etc). For those that need, that is, should be, documenting your installation details, hopefully this helps make your life easier. Hope it makes your lives easier. Did you ever wonder about what makes some changes more difficult than others? Why do people fear the upgrade? What paralyzes them from taking action? Usually it is because they got burned one time. One day I decided to load Windows8 on an existing Windows7 machine to play with it and test IBM Notes and other apps. The upgrade went fine, but some things were not compatible with Windows8. In time I downloaded patches and updates and resolved messy security errors. One of the errors was on IBM Notes and seemed to be the software firewall. resolved, started Notes and it replicated. Great. An hour later when I realized I had not gotten some emails i expected I checked replication and it had not replicated since logon. I asked it to replicate and it did. Disabling replication and then restarting it. - "Replication is disabled"
Tried restarting Notes - "Replication is disabled"
Change location to a different account - "Replication is disabled"
Login as a different user entirely - "Replication is disabled"
Tried IMAP - "Replication is disabled"
Domino 8.5.x server - "Replication is disabled"
Domino 9.0 server - "Replication is disabled"
Replaced design of template of PNAB from local - "Replication is disabled"
Replaced design of template of PNAB from server - "Replication is disabled"
Changed template of PNAB to a different template, then replaced it back as PNAB - "Replication is disabled"
Created a brand new PNAB with nothing but one server details in it - "Replication is disabled"
I began to wonder if I was missing some patch for Windows8 so I called IBM Support with a PMR. I worked with Kristin T. who was great about working around my schedule and provided a number of areas to look at to see what else might be going on. Unfortunately she did not have a Windows8 machine at the time to play with so we both kind of flew blind. In the end, it was not a Windows8 issue. The problem may have been caused by a rogue policy from one of my location documents that for some reason decided to kick in only after I loaded Windows8. You will see your policies. If anything looks wrong or just want a blank list, delete it and then restart Notes. A fresh set of policies will come down to you. Only after we cleared the system policies and created a clean PNAB and then added one location and connection details back we were able to get replication rolling again. Moral of the story is, you may know what you are doing, but the order of the troubleshooting could be holding you up from completing your task. The 2nd part of my "Who aw your slides?" post is live at the IBM Social business Insights Blog. After you give a presentation at a conference, do you remember to post and share your slides with those who didn’t attend? Besides posting through the organization that ran the conference, you can also publish your presentation on your blog or at SlideShare, which can both feed to your Twitter and Facebook accounts. But in order to get shares, first you’ll need memorable slides! In my previous post I shared four starter tips on improving your slide presentations to increase the likelihood of them being shared among your colleagues. Here are some further suggestions to strengthen your presentations and increase your shares. This post is ripped from the headlines, literally, my Facebook headlines. This password feature however shouldn’t be regarded as a sturdy protection mechanism though and it was never intended as such either. The passwords are easy to crack via various tools such as Atomic Pst Password Recovery and the encryption of the pst-file isn’t based on the password either. Yes, well you know Facebook, Twitter, et al have passwords which you can choose to bypass via your browser saving password option. Outlook does it similarly via Windows server and clients, this is called Single Sign On or SSO in my world. IBM Notes has a similar SSO option. Not going to debate the pros and cons of it. If you know the topic, you get it already. In short, we need more security in some organizations and in others we need the users to just get work done and not have to remember yet another password. As a computer user you have the option to set your Windows or Linux or Mac screen saver or timeout setting to ask you login after some amount of unused time. Same thing in IBM Notes. However, if you make your password for IBM Notes different from your primary system login, you have an extra layer of security for your email client. In my case, where I leverage many widgets in my sidebar that connect to some important systems, this is very helpful. I rarely worry about someone logging into my email client. And yes the comments are growing and quite amusing as well. What could there be on Facebook that anyone would care enough about to secure it? Why do I bring this up? Because in the time it takes for you to go to the bathroom, get a drink of water or a coffee or in some places get the document you printed, you could be the victim of an internal or external security breach. It may be funny and a nice prank on your friends, but in business, some serious problems can be started this way. Hackers know it is easier to get to you from inside your own company than outside of it. The hackers may look like gardeners, fire rescue people....or your spouse. I am open and trusting in my collaboration at work and at home, but when I am traveling or at a client site ,I always manually turn on the screen lock whenever I leave my desk. If you do not make use of the security your systems have already, you have no one else to blame when these things happen to you. IBM Notes has been and always will be a very secure product and if that is important to you or your company, I can help you leverage it. I can also get you over your fear of people writing on Facebook as you. As part of the IBM Redbook Thought Leaders, I had originally wrote this post for the IBM Social Business Insights blog. This is my first two part post there. Has this ever happened to you? 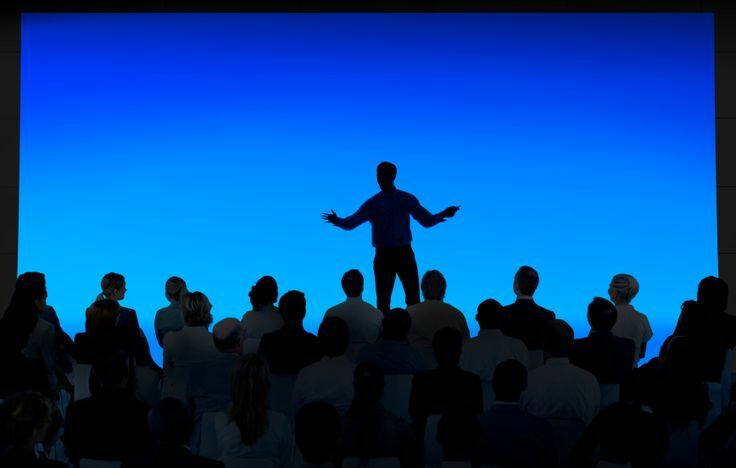 You spend weeks working on your presentation for the big conference and when your day arrives you get into presenter mode, show up early to your appointed room and prepare to take the stage. You think to yourself, this is going to be a great session¸ and progress through your slides. Before you know it, you’ve reached the time for Q&A, you say thank you and it's over. Go read more over here. Happy to announce that after a few months of effort, our Redbook is available for everyone. Our leader, Whei-Jen Chen deserves the credit for getting us all to finish on time and stick to her plan. Hopefully it will help you in your quest to migrate from Lotus Quickr and into the IBM Connections. Thank you to everyone that took part in it, including the IBM team behind CCM who answered our numerous questions around what was still in beta code when we were writing this Redbook. 4 flavors but you need to wait 10 days for electronic code availability. Sametime Communicate is all about individual communications needs. It starts by unifying all of Sametime's instant messaging capabilities into one offering – including Offline Messaging, Skill Tap, Instant Polls, Persistent Group Chat and more. We build on that with 1:1 voice and video capabilities, including Bandwidth Management Tools for Sametime calls. We even added the ability to link Sametime to your telephony or telepresence system over a SIP trunk. Yes, your Sametime Connect client can be your phone or video endpoint without any additional licensing. We include mobile, browser and rich clients along with all the API's and 3rd party plugins to integrate your existing services into Sametime or put Sametime services where your users work every day. Sametime Conference is for multi-party collaboration. This offering blends our award winning zero-download, browser-based meeting capabilities with our new video MCU for continuous presence, high definition video. Use Sametime meetings for multi-party audio calls, dial out to your favorite audio conferencing bridge or use partner plugins or adapters to integrate Sametime Meetings with your favorite video conferencing system. Sametime Complete bundles both offerings together and delivers additional value all its own. With Complete, we extend continuous presence video to video calls outside of meetings. We also let you share your screen or an application right from a chat window. In addition, use the Sametime Connect client to invite colleagues to your meetings by just dragging their name from a contact list and dropping it on the meeting room or clicking the meeting icon at the top of a chat window. 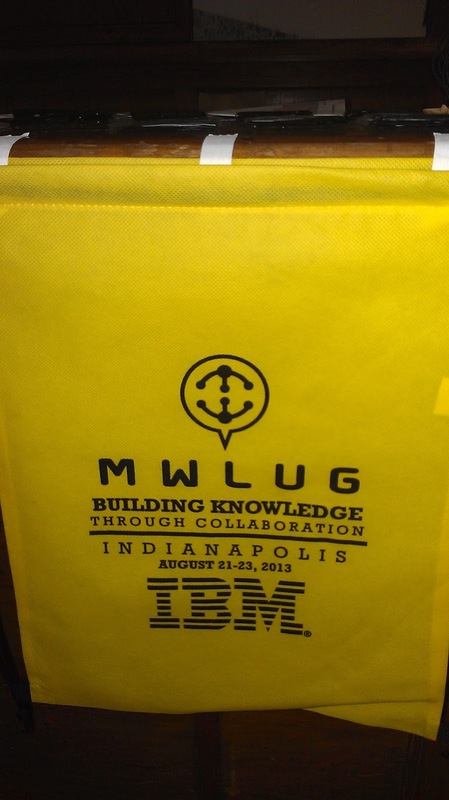 It has been 2 years since I attended and presented at MWLUG and I have missed it. The core group of about 200 customers that can just drive over for the event and the vendors and partners and IBMers that fly in all come for the same reason, the community and knowledge. 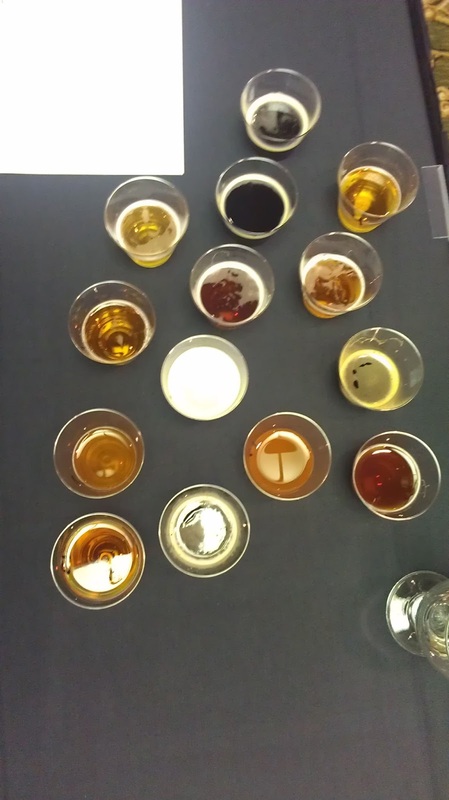 Beer is a big part of MWLUG and always has been, probably because the idea was hatched while the founders were having one. Isn't that when the best ideas are devised? 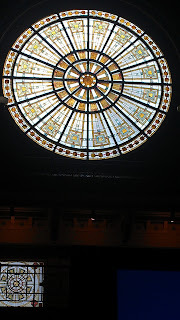 The event location was the old Union Station filled with beautiful architectural reminders of an era long gone. 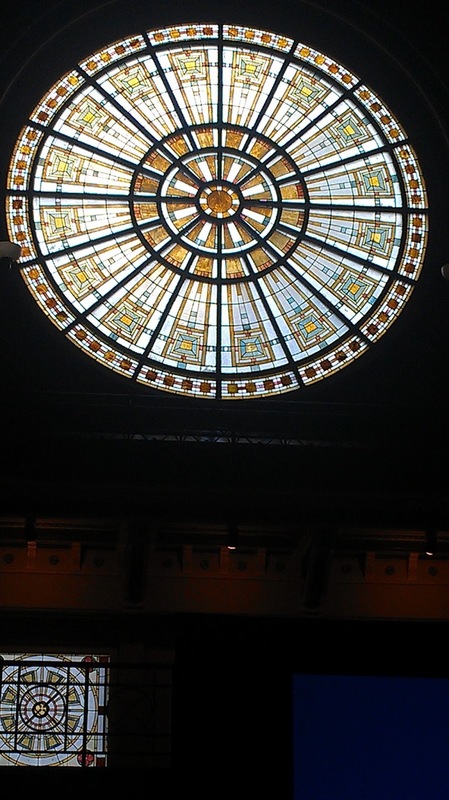 The stained glass window is from the North facing window of the main room which used to be the entrance to the station. Sadly, I missed the opportunity to go to the Indianapolis Speedway tour but waved to everyone from my flight above the track. Saw friends, both near and far, and even some customers who knew me when they were business partners and consultants. The first day I got in late and missed the classes going on but did pop in to fellow IBM Champion Bill Malchilsky's session on Linux enablement which if you want Linux or need it or are thinking about it, Bill is your man. We made our way to the first evening event, the microbrew tasting. Which knowing some of the people involved would produce some interesting ideas. You can see the mix of offerrings from this picture I took. The winner turned out to be a distributor of someone else's finest but that did not stop everyone from having a great time. We then moved to the main room where we had the event sponsors peddling their wares and we had time to chat up customers and friends. Thursday morning found us eagerly awaiting the OGS where we heard from Josh Bleill, the Indianapolis Colts Community Spokesperson. Josh just wowed everyone with his determination and positive outlook on life. Nothing is insurmountable. After Josh, Scott Souder, Program Director, Messaging and Collaboration Solutions for IBM provided some sneak peaks at what is coming in the future. Notes/Domino 9.0.1 due out late October. Scott talked about how at this point of the year IBM already has more renewals from customers that have not renewed in prior years than they did last year. In other words, customers are upgrading again and there is business for all of us Business Partners! Scott also brought some secret things to share like Project Hawthorn, more on this in a different post, and a new unnamed product which will knock the socks off you when it comes out. Come to Connect 2014 for more details is all he said we could say about it. Scott also introduced everyone to Kramer Reeves who is his boss. Kramer is Director of Product Management, ICS and has plans to help not just customers but business partners as well to sell and support everyone the way they need it. After the morning sessions off to lunch and then the daily sessions. I was working on my own demo and session but sat in on Chris Miller's excellent session on the web, social life and privacy. Get his slides and think about it, hopefully he posted them someplace. Of the people in the room only a few do everything and there is much to think about. Save your wallet and headache and go get his session. My session, The Boss is Anti-Social ..HELP! which I already posted the slides here, had at the core of it people who work in a non-social atmosphere or have managers that do not understand them. The session was a mix of older thoughts and information coupled with literally the night before ROI cases that I received via email that highlight the sales benefits of being more social in business. All links are included in the slides so enjoy. No matter what your industry is, you can be social on the outside and interactive with your customers and vendors. Yes, some will complain, but they just want your love otherwise they will just leave and you will never hear from them again. The evening event was spent in a brewery and billiard hall where everyone could focus their time and get to know each other better. Questions about certification, Sametime, Connections, Notes and Domino, competitive information and more all took place. Friday saw Karl Lawall, an IBM Program Director for Collaboration Solutions, Social Communications and Sametime Worldwide Sales showing off Sametime 9 which will be coming out shortly. The video integration and revised mobile clients and device functionality will make life so much better for the A/V jet setting people. And then I had to go home which was an all day journey it seemed, sorry I had to leave early on Friday. Thanks to Richard Moy, Sam Bridegroom, Gregg Eldred (sadly was held back from attending), and Ray Bilyk for a great event and I hope everyone returns for next year when it is in Grand Rapids, Michigan. For all my friends and customers always nice to see you and let's meet up again in Orlando in January 26-30 at Connect 2014 if not sooner. Write your white papers, make them worth reading, not boring old professor articles. Have fun in them, make them topically relevant if product specific or connect them to a long standing service or profession. They should be like reading the best album inserts, sorry, CD covers, that bring out the personality of the band or their music. Perhaps stop making white papers and start producing videos of real people discussing your product. Wait, you probably do that. Do a podcast about your company or solution that people can listen to and hear your excitement come alive. You probably do this too. So why do you insist on writing white papers no one reads? Because either you were told to and could not argue yourself out of a paper bag or are an old time marketer or company that just knows executives love to read these. I admit, I have been asked at times about a white paper or details from a vendor but I have never given them to a client. Sales people who have worked with me know I am against white papers on many levels. Why would a perfectly sane and capable person want to have me go and find something they could do? Because they want you or me out of the way. No sale until you bring me proof in a white paper. No, bad salesman, no cookie. What will an executive glean from the document that will sway them to buy from you over the other people who sent him their white papers? Nothing, bingo. Stop wasting your time, please, I beseech you, put your excellent editing to usage and write more blog posts. Transform your glossies and pdf files into working, active living documents. You have the power, it was just sucked out of you to write that last 35 page white paper. Someone has a course on writing White Papers called "No More Boring White Papers" really, here is the link. I found this link because a few days ago, this blog post was published by Rachel Foster. I do not know Rachel but hope she appreciates me sending her some link love. In a similar vein but possibly where all of this leads, I found this old posting.Written in 2003, with the title, oddly enough, How Win an Award for Your White Paper. Yes, you can not make this up, that is the real title. One of the three criteria is editorial quality, not sure you want them as judges. What if you do write such an awesome paper that people actually read it and recommend it to other people? Congratulations and please let me get a link to it. A great white paper can be a powerful tool in your campaign, while a terrible one will do a lot of damage to both your brand and your online social presence. And while the shock treatment can be an effective writing strategy, writing badly is not the best way to implement it. That is, of course, unless you don’t want to be a writer in the first place, and would rather someone else take that role. If that’s the case, please try our free marketing copy edit before you hurt yourself! Need help, and who doesn't these days, give them a try but read their blog post, it was well done. I am happy to help anyone that needs to make a pitch or provide more details to their management. It was a great time and I hope you enjoyed it as much as I did. Have you ever been working at home, or the office, when you get a phone call from a sales person who is just dying to send you their latest white paper? Ever hang up directly, if you even took the call? I normally talk to the people and try to understand the logic of what they are doing. Obviously this is their job, however, if they could open the mind of the company they work for, they might get further in their efforts. Usually I point out to them that calling me, when I certainly did not ask them to do so, is not likely to be helpful to their cause. That aside, I then ask, if you were going to email it to me anyway, why not just email it to start and not waste your time calling? Either way, my spam solution will probably block it because it should know by now, I do not like emails with the words found that include "free white paper". Decades ago when I was in college and hating my economics classes, JIT was discussed and technology has truly brought us to a world where everything is JIT. Outside of customization for something, or having a baby, everything else could be done JIT. Education could be, but that is a whole other post. We all want that Matrix like power to just know how to do something we never did before. A friend of mine had questioned about the benefits of a newsletter or even blogging in general over some other formats. My feeling is the former is like blogging and I do believe in blogging. Do I expect you to read this blog post or any other when it is posted? Some of you will, but next week or month or year more people will find it. Maybe for a report, maybe for a presentation, or just because I tagged it with something that brought you here. You will find it when you need it. My technical posts are written for long term searching so everyone can benefit from the things I found earlier on in my career. One of my most hit posts is about the iNotes Redirector and is from 2009 which gets viewed daily. That is Just in Time help. I am not a white paper person. Like many others, I trust my friends recommendations, not some paid for document produced by a company selling something. If I need your white paper for a client, I would hope they already found it but if not I will certainly use Google to find it. One thing you can not do JIT is create an audience. Got a new app? How will you push out to the world? Have something to say to the world, how will they hear you? Building your audience takes time and then once you reach a critical mass stage, it then becomes a JIT plan. Apple now has millions of devices sold JIT on day one for whatever device is newly available. 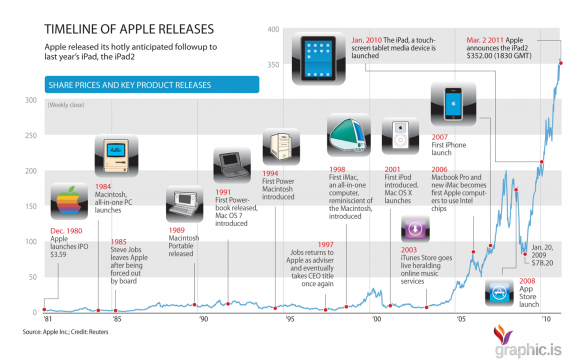 We all want to be like that, but think about this, it took Apple just under 25 years to get to this level. How long do you have? JIT tools or data can only be found once someone else has put in the time and effort to create it or create something to provide what you seek. 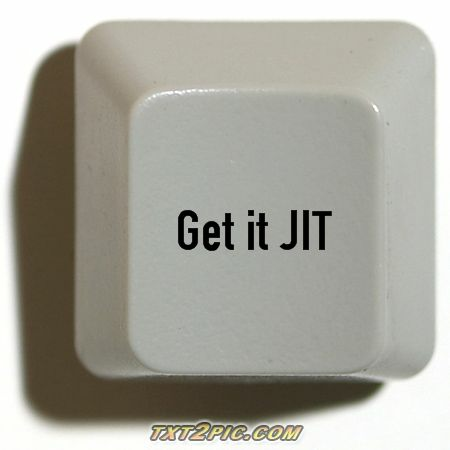 We all need a little JIT but how often do we create information for the next person in line? Collaboration, social business or just plain communication only comes from someone else who went first to clear a path for the rest of us. My posts are for the JIT person, searchable and helpful when you need it. It was 3 years ago when I last posted this on my blog. and the conversations we had then went well into the night and days. Sadly due to scheduling conflicts I had to miss out on the last 2 years. But I am back and looking to see everyone again. And I am happy to say I will be doing it again at MWLUG 2013. Which if you are near the area, you should definitely be going to this can't miss event. Where else can you attend a charity brewfest competition featuring your fellow administrators and developers? I will be enjoying the Crowne Plaza Hotel Downtown Union Station in Indianapolis, Indiana during MWLUG where it all takers place. If you will be attending MWLUG or are around Wen afternoon or evening we can discuss how to handle objections, executive decisions, political turf and other routes to unrest which may cause you or your organization or clients to question their future directions. 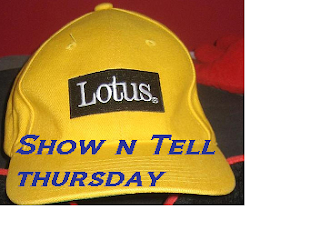 So email me, send me a Tweet, G+ me, Skype me. I will be around until Friday morning and looking forward to seeing everyone. When I was in college and heard about this I tried to do it then. I tried a few years later with my roommates post college, but could not get into it. In some ways, technology has helped me to accomplish this goal, which is probably not the intended result you may think it is. Imagine if you actually read every page of a 3,000 page wiki how long would it take you? Now nearly double that number and you get an idea where I am going. Last year on August 3rd, 2012, the 13th cycle of the worldwide studying of the Talmud, known as Daf Yomi, began with Brachot, which means blessings. I started this as a deal with my kids since we were home schooling them last year. I figured if they had to learn on their own so to speak, so did I. Not to imply I do not learn regularly, I do, not every day at that time, but on a weekly basis I have been for years. Naturally it is not all exciting or interesting to modern man, especially when discussing topics of ceremonies no longer in usage since the Temples in Jerusalem were destroyed. However, one learns quite a bit about economics, law, finance, human relations, spirits (both medicinal and supernatural), farming, families, governments, management and of course holidays and details for the Jewish religion. 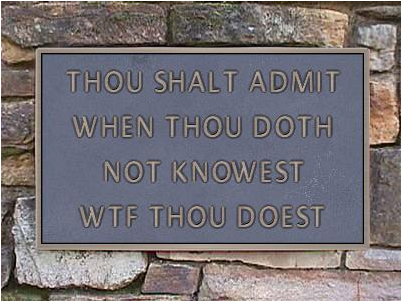 Doing this does not make one a Rabbi, although if one had more time, in parallel, one could obtain ordination by the end. Learning more details about common accepted ideas or topics and finding out where other references come from has been enlightening, to say the least. Technology which is generally outlawed on Shabbat and other holidays has provided more people the benefit of learning, not just the Daf Yomi but every day things as well. One can listen to podcasts from teachers, read translations in their own languages, Skype with people across the world and still have everyone learning the same page on the same day. This is nothing new, but for me and others that travel for work, it has made it much easier. Last year I was able to be in Raleigh, London, Las Vegas, New York to name a few places I benefited from the internet and the technology available. Here's to 6.5 more years! Ad agencies depend on people working together to create campaigns for their clients. Sometimes there is one leader and the rest are just part of their team. The use of IBM Notes and Domino provide that easy way to manage information and provide access to it from multiple channels. I know, hard to believe, but this has been the case for most of the 20 years Lotus Notes has been around. Browser, phone, tablet and access across multiple clients of MAC, Linux and Windows. Get out of your shell and live a little. Prefer Gmail? Great, they are finally getting to understand what companies need from an Enterprise email solution. They will catch up someday, if they stay with it. Maybe people do not like the UI. I hate Saab's, I think they are ugly cars, but people love them. And that's okay, I have a choice in which car I buy. Do you like the iPhone but only get Android from work? Tough luck, but they pay the bills and in the end it is just a phone with apps and works only as well as your admins let it, or your service provider. If you view Notes as an email client, you are giving up on the real benefits it provides you on an individual and team basis. Personal databases, while seeming to sound difficult, are really easy to implement and produce a wealth of benefits from saved time to find information, reducing email sizes through using links instead of attachments, security levels which are almost non-existent in Outlook even blog posting and wiki editing offline. For more you can see examples at http://openntf.org. Does using one email client over another really cause emails to be delayed 2 days? Of course not. Those are server side issues for administrators to manage. What about the meeting invitations appearing differently? Here's a great question for you, ask your internal email marketing team how many different variations of email/phone/device clients they need to test for before they send a message out. How many do they truly test? Because of changes Microsoft made in how Outlook and Exchange render HTML over the years you would need to test with every version. It would be nice if all systems were utilitarian and open and not created in such ways to push the boundary of RFC SMTP guidelines but that is another story. Sorry old picture, no new one for Tuesday. While updating my IBM Domino server from 9.0 to 9.0HF328, I also saw an update for IBM Notes and Lotus Notes Traveler. Just been busy and did not get to these yet and Domino and Notes went fine. Traveler update however it seems was a corrupted download. Given it has been posted for 2 months I presume it is not IBM, but my download. dException: Unable to open database C:/IBM/Domino/data/traveler\map\CalMap.nsf..
be logged, so they will be logged now. You will find, if you try to open the files in the Domino Admin client that they are either corrupted or waiting to be configured or just not available and truncated. So what to do? I tried fixup and that worked for the .nsf files. Trying to run it against the EsmMapDirTemplate.ntf file failed. I checked the downloaded update and sure enough when I went to look at the .JAR file it was inside, the .jar file threw an error at me and said it was malformed or corrupted. And for the record updating my Android client from the Appstore, which is now not in synch with the server client version. Either the way of the future, client side or going to be a problem in locked down companies perhaps? We can save your PC! They bellowed. Right. Evidently one of my Windows machines was infected and I should listen to the oracle on the phone to save my pc's soul, er, files. This was my lucky day! And for some lucky contestant on robophone Americans it was their crazy story of the week. I had them on the phone for at least 15 minutes and it was fun. My wife and kids were laughing through most of it. Listen, when you need a repair person, any repair person, they are nowhere to be found. So if a PC support person calls you totally out of the blue and you have nothing wrong with your pc, please just be a smidge curious what scam they are pulling. Just do not take these people seriously. Hello Mr. Brooks glad we caught you, your Windows PC is infected. Me: okay, did it call you? No sir, how could a PC do that? (I had to laugh at this one) Your windows PC is infected, they repeated. Sir, you have a Windows Computer, yes? Ah, er, how many Windows computers do you have? Me: About 4-5 are usually online during the day. Which Windows version called you? Sir, your computer can not call anyone, your oldest Windows computer is infected. Me: Interesting, would that be the oldest Windows version or the oldest age of my computers? (more frantic searching database) Er, sir, your oldest computer. Me: Windows XP, does it matter which version? No, it does not, they are all infected. Me: Sorry, are we discussing SQL injection hacking? I am unfamiliar with this, can you turn on your windows PC please? ME: Are you calling from Microsoft? No sir, IBM and Microsoft are vendors, we are a consulting company. Me: Which consulting company would you be from because it is amazing you can call when I have a problem before I even know it on my turned off windows PC! Sir can you turn on your PC please? Me: Hold on a sec, are you from AVG? Me: Symantec? MalwareBytes? Because we use all of those and that Microsoft malicious Removal toolkit thingy. No sir we are not from any of those. Me: Well, then why would my PC have problems if I use all of these things? Sir there are infections online that got into your PC. Me: Really? And how do they do that? That is what we want to help you with sir. Do you use Social networks? Me: sure all the time...from my phone. Oh, not from your PC? But you do go online, right? Me: Sure, Amazon is my friend. Well you know Best Buy has a screen that pops up before you shop? Me: So we are talking about cookies? No sir, something much more malicious. Me: I don't know cookies can be malicious you know. Sir can you turn on your PC. At this point I wanted to find out what they do so I opened an XP machine where they proceeded to have me open the event viewer and look at my application list which happened to be mostly information rather than warnings. No doubt any of the warnings or fatal messages they would jump on and say I was attacked. In any rate after about 15 minutes I had enough of fun and told them, well I guess my PC is safe no warnings, thanks and enjoy your day I am going to eat dinner now. The moral of the story is your own support desk should be this helpful and responsive to you but as usual if it is too good to be true, it is not true. people have been taken for money to buy fake anti-virus programs as well as provided full remote access to these people and all kinds of other things. Which version of windows does it affect? International English or US English? I'm okay my PC runs Hebrew Windows, it is bi-directional just to see what they say. Can I have your number I have friends that need to talk to you, like the police. I saw Sneakers, and I encrypt all my files, and go through zombie proxy servers just to evade the NSA, you're not from the NSA are you? It was just fun and how often do we get to have this much fun with telemarketers? Last year around this time I posted what became a top 10 page for my blog, the IBM Connections 4.0 installation spreadsheet. I took the IBM Wiki page provided and broke it down by topics (IHS, WAS, DB2, etc) and included some items along the way as well. Yesterday IBM posted an update for 4.5 CR1 here. I have updated my spreadsheet and included the changes as posted as well. You can get the new version and make sure it says 45 in the title here or from my Downloads page. Imagine you are on an island in the Caribbean, cold drink in hand, sun shining down on you, and your family and friends are with you just hanging out or walking around the island. Sounds nice, doesn't it? No phones in sight, no TV, no car—just you, sand and the sounds of the waves crashing on the beach. How long could you go before you had to whip out your phone or laptop to get a picture, post to Facebook or answer some office emails? These days, not very long it seems. Based on this article and infographic, 74 percent of vacationers use social media while on vacation, and many are logging more and more work hours too. Read more over at my guest blog post over at the IBM Social business Insights blog. Did you ever start to work on something only to be deeply involved when someone comes over and asks what you are doing? You respond and they look quizzically at you and ask why did you not just do X? X of course is right under your nose and would be obvious to anyone else, except you because you were so involved in your project. So I found myself when someone screamed about losing their Sametime buddy list. Sure there is a menu item to import/export your lists but you know, how many people remember to do that? Or if they ever do it? Wrote a batch file to copy the lists to my network server. I included in it both stand alone and embedded options. Why? Because along the way I also realized, as an SUT user, that the SUT phone list was not copied in this, in fact it is stored in a different directory. Thought it might be easier for people to just have a batch file to back it up than a rather serpentine directory structure to remember. If you would like the batch files, you can find them here in a zip file with both backup and restore files and an instruction guide. Suggest adding them to your desktop, that way you will notice them and click on backup randomly which would still be used more often than the default menu option I would bet. Built using a Windows7 laptop and running Notes9 Embedded Sametime and SUT and also a stand alone 853 Sametime client. Sad to see and hear that the end of the line, officially, is coming to Lotus Organizer, Lotus 1-2-3 and Lotus Smartsuite itself on June 11, 2013 with support ending September 30, 2014. Organizer was so far ahead of us when it came out, easy links to guide you directions, call from a contact and straight to a web site with one link, an awesome calendar and scheduling tool, and it connected with Lotus Notes and some people still leverage it that way. All from one UI! I can't get anything to be that useful, without coding it somehow. Can you? I still use it occasionally for various reasons and every time I think, if only we had a newer version. But no matter what we want, somethings must move on. The latest version does run on Windows7, I have not tried Windows8. I still use SmartSuite sometimes because it still handles some web sites and various document translations better than MS Office. There is also some importing issues with a certain product that still only imports 1-2-3. Me and Lotus 1-2-3 go back to 1.0 DOS version. I wrote some great macros back then, Wall Street banks asked for some, a Broadway Theatre ran their subscription database and nightly finances on spreadsheets I wrote and numerous other bits of work through the 80's and 90's. 4. Drag this picture icon to the trashcan. 5. A list of developers will replace the main Organizer book. Word Pro (Lotus) Easter Egg - 3D World by Spelling "Possum"
9. If you did it in the right spot, it will poop out an M&M. Live from IBM Impact in Las Vegas this was recorded April 30, 2013. If you want the slides, they are here. Thank you to Ryan for setting the Ignite talks up and Daphne for letting me know about it. It was fun, 20 slides that automatically roll over every 15 seconds for a 5 minute talk. Ever wonder what it would be like if Darth Vader won? Could Darth Vader have won instead of the Rebels? Could it be that a strong network of Sith Lords could control the masses through social media efforts using The Force? These may be strong words, young Padawan. 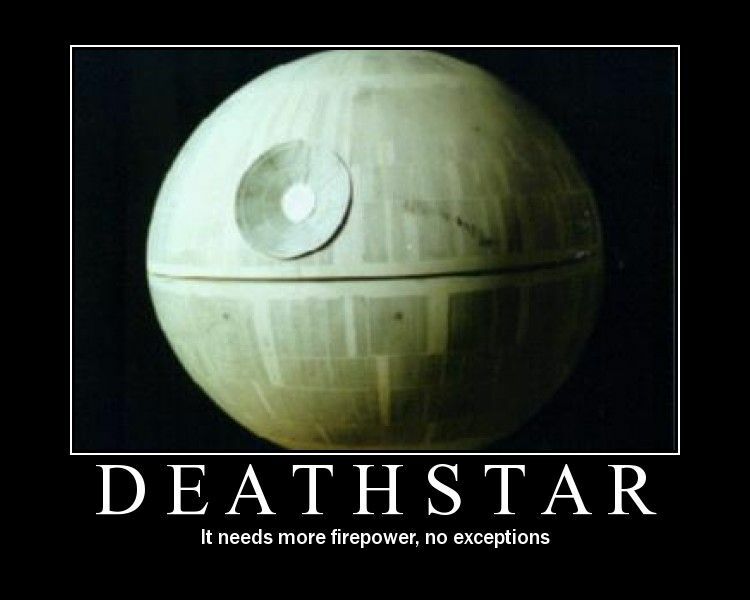 There is an amusing Twitter account I follow called @DeathStarPR that brings my point forward. What if social media was used as an insidious effort to gain the upper hand against the Rebels? What would the Star Wars universe look like decked out in only black and white? To read more hop over here to the IBM Social Business Insights Blog. The video from the IBM Impact keynote this morning that has all of the IBM Websphere Champions who could make it to the video shoot. See me and my friends do a "I'm an IBMer" type commercial. Thanks to Daphne and Justin for editing and making it all happen. So what did I do on Day 2 of Impact? Today was The World in Motion. Business calls most of the morning, bad wifi upstairs, bad wifi in OGS and the exhibit hall. A frustrating problem because if you needed 30,000 IP addresses or so, what would you do? Duh, grab a Z series! Okay not exactly but it is a problem which should have been addressed Sunday. Which brings me to what I did Tuesday, meetings, interviews, an ignite speech and a session I did with 3 other IBM Champions and a night cap of Matchbox 20. So the OGS had BMI, one of the music publishing and royalties companies, explaining what they do and how they leverage IBM products while dropping song snippets from numerous artists. As an ex-ASCAP person it was nice to see and hear the industry has come a long way since the paper trails I used to audit. Westjet had a video that explained what they needed IBM for and how they accomplished so much in such a short time. Nicely done. There was also a demo of what a mobile app could be doing in the near future around auto insurance and an accident of a viper. I then ventured off to the Social Playground, great name given we are in Las Vegas, and powered up my now worn down laptop and phone. Caught up on some emails met some people, committed to do another Google+ hangout and prepared for my Ignite talk. Afterwards I spent the rest of the afternoon in meetings or doing interviews with the Redbooks team, GWC (Global Websphere Community), Websphere Socmed team all before heading to my session. We had an open panel on mobile plans and services. Fellow IBM Websphere Champions Yuki Kurosawa, Andrew Paier, Ashraf Souleiman and myself were joined by Phil Kelly of IBM as the moderator. Hope no one took my "Buy Apple" as a forward looking announcement or stock tip. We left there and headed to the BP reception which preceded the Matchbox20 concert. We had great VIP seats upfront, thanks Daphne! The band played for about an hour and a half and I now have Matchbox20 Twitter groupies following me. No doubt they are also following the other 9,000 people that tweeted tonight. And the day ends with me finding out The Venetian does not do late checkout. Really? In Las Vegas? Oh well what can you do. Tomorrow I head home on the red eye. A day of meetings and hopefully some sessions is ahead of me. PS - The video we shot on Sunday debuts at the OGS on Wen. morning.